Series 2, Union Force will be available from November 3rd. 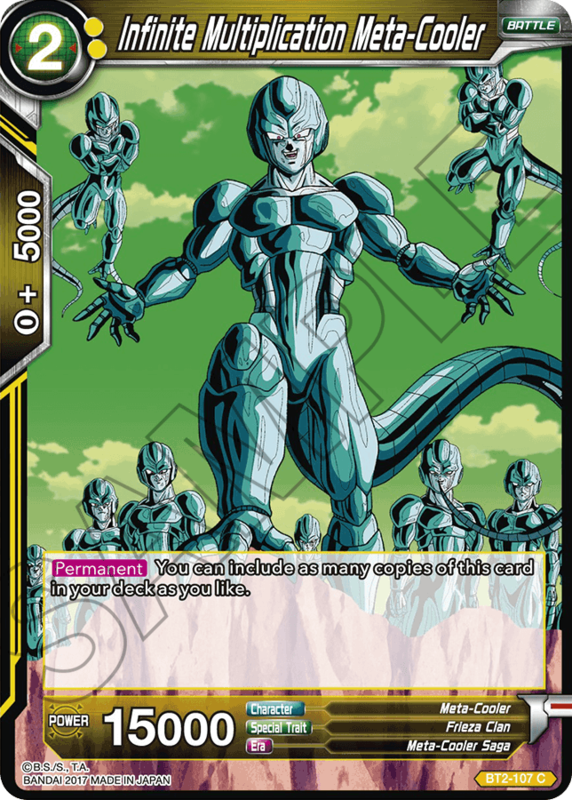 We have designed various cards to make the Dragon Ball Super Card Game even more enjoyable than it is now. 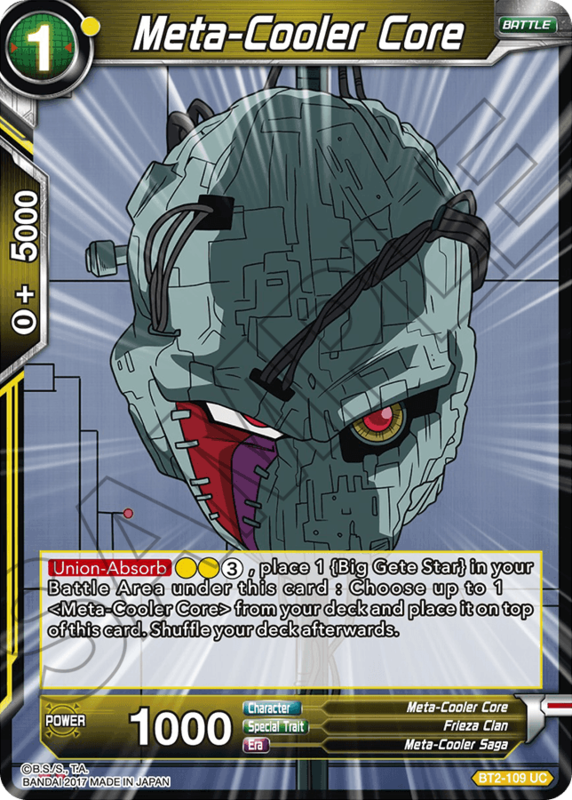 We would like to introduce some of our ideas in designing gameplay regarding the cards in Union Force. But first, let’s start with the initial game concept which was drawn out in designing our first booster: <DBS-B01> Galactic Battle. Basis abilities such as Evolve, Critical, and Blocker ,etc. 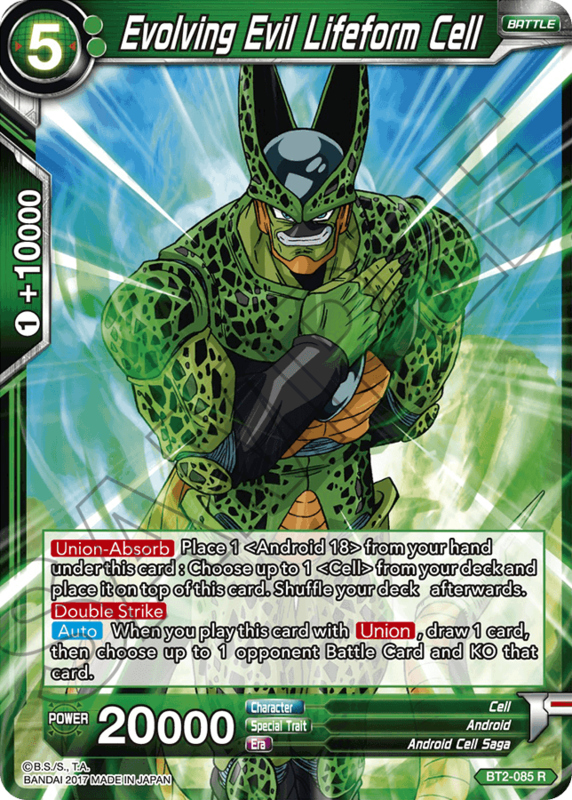 In Union Force, we have tried to provide a true Dragon Ball experience; the set introduces many themes and cards which are meant to depict various features of the Dragon Ball world. We especially focused on “Union,” which is as you may see a word included in the title. Evolution and fusion are both very unique and popular themes in Dragon Ball. That is why we chose it as the special feature for Series 2, our first proper expansion set. Here are a few cards that depict character traits while featuring Union skills. 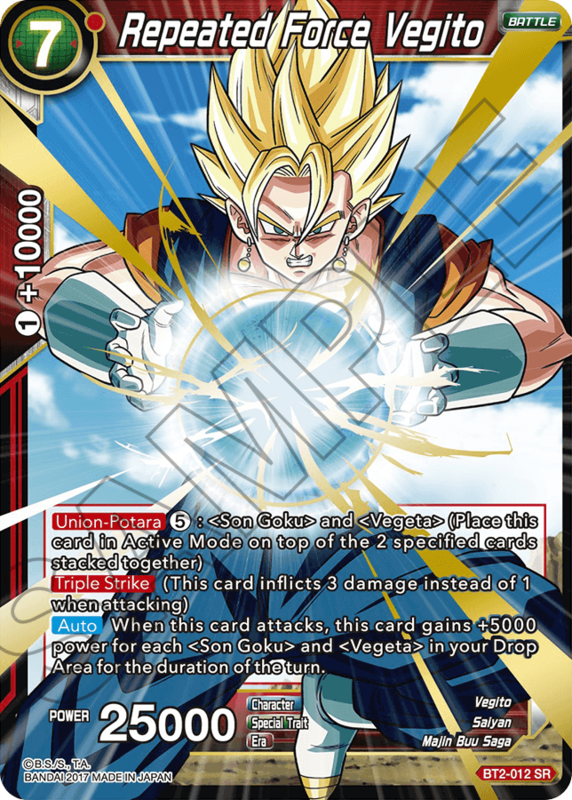 Both of these cards have [Union-Potara] skills, and can be played by fusing Son Goku and Vegeta together. And of course being saiyans, they evolve into Super Saiyans! Watch in awe as their power reaches over 100000! 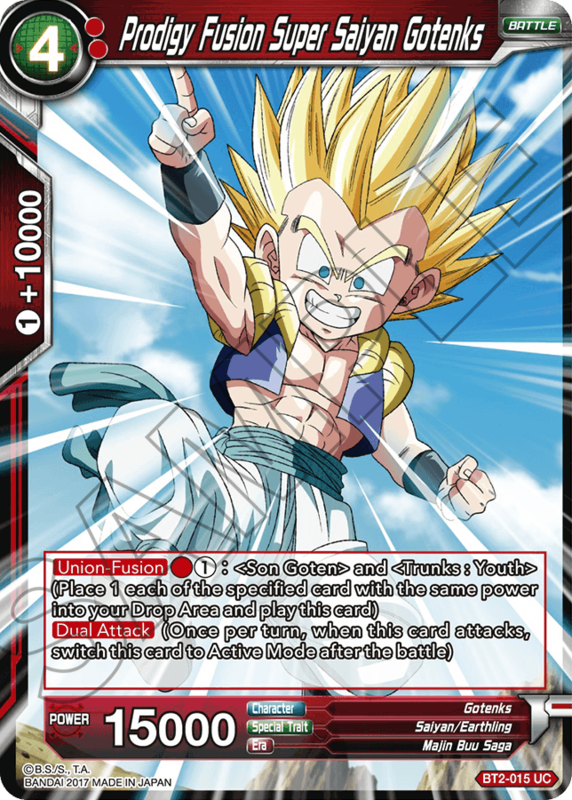 Play this card with its [Union-Fusion] skill by fusing Son Goten and Trunks: Youth. But be careful, the 2 fusing characters must have a balanced amount of energy…which is depicted in the game as the 2 cards requiring the same power. 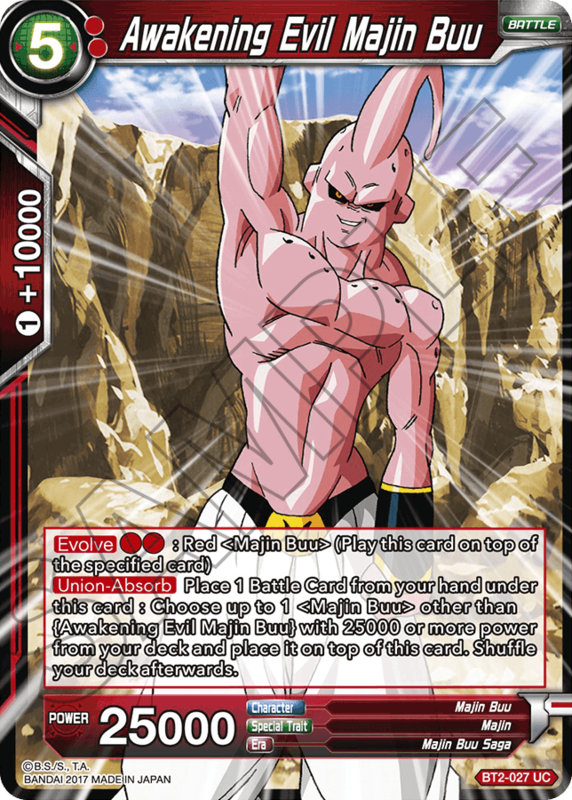 〈BT2-027: Awakening Evil Majin Buu〉can transform into various cards by absorbing your hand with [Union-Absorb]. 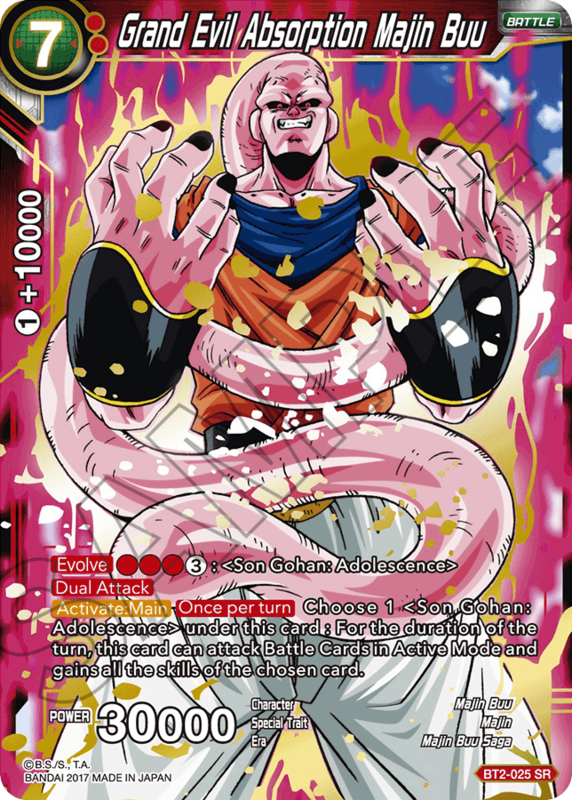 〈BT2-025: Grand Evil Absorption Majin Buu〉is one of such forms. It can use the skills of the Son Gohan it absorbed. Try out absorbing Ultimate Gohan…the results are just devastating. 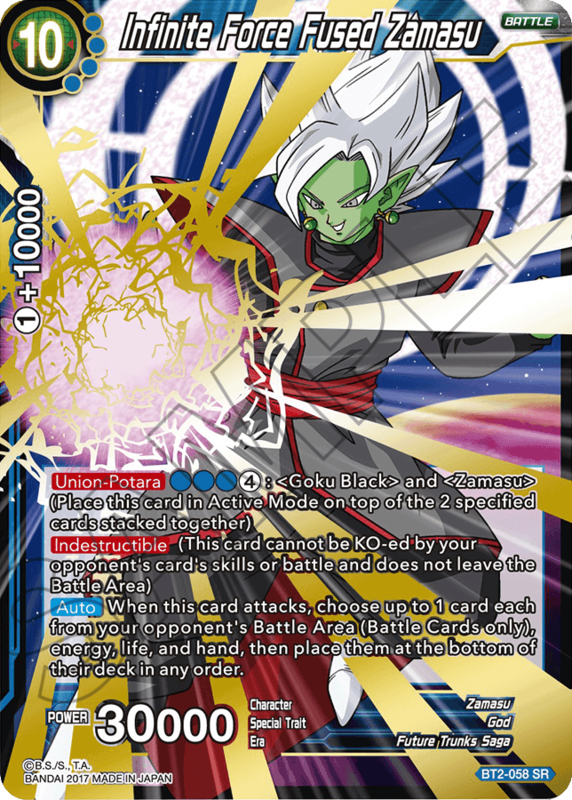 Fuse Zamasu and Goku Black with [Union-Potara] to play this card. 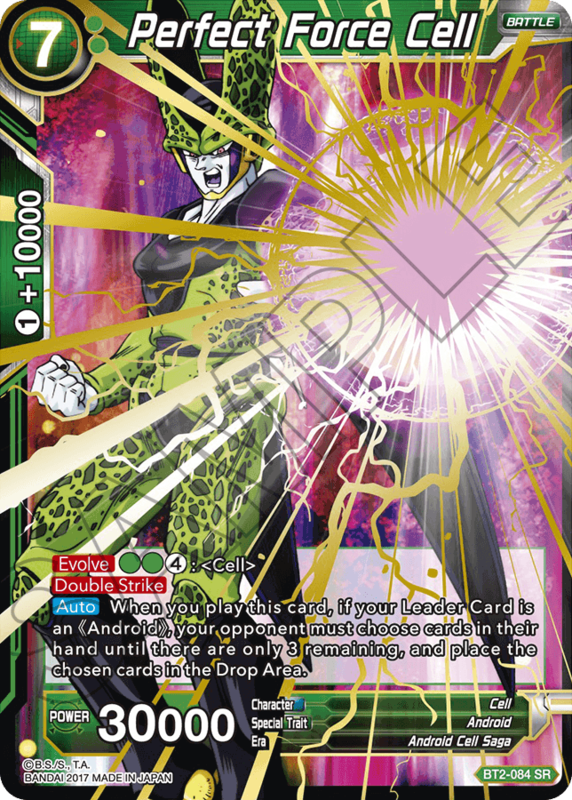 It is one of the cards to boast Zamasu’s signature skill [Indestructible], making it an immovable force the opponent must deal with until the end of the game once played. 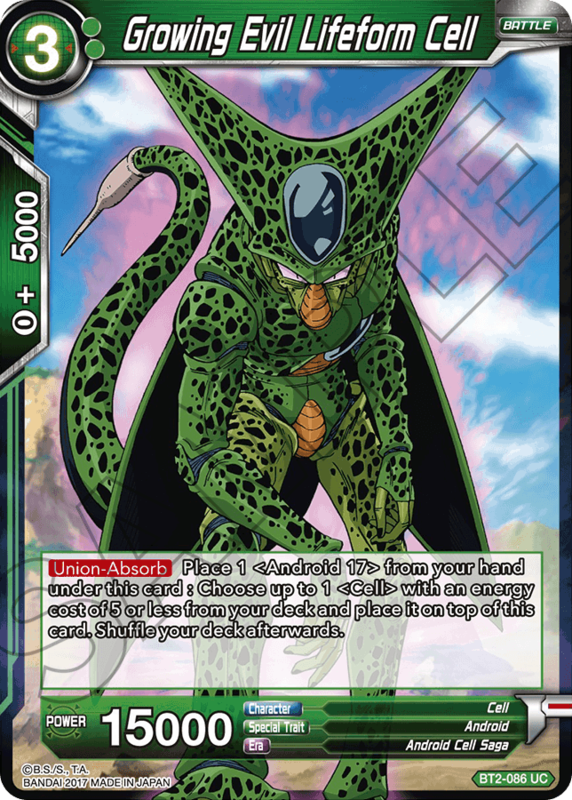 Cell absorbs Android 17 and 18 from your hand with [Union: Absorb] to undergo a series of transformations, finally reaching his true form 〈BT2-084: Perfect Force Cell〉. 〈BT2-109: Meta-Cooler Core〉can absorb Big Gete Star with [Union-Absorb] to transform into〈BT2-108: The Infinite Force Meta-Cooler Core〉. 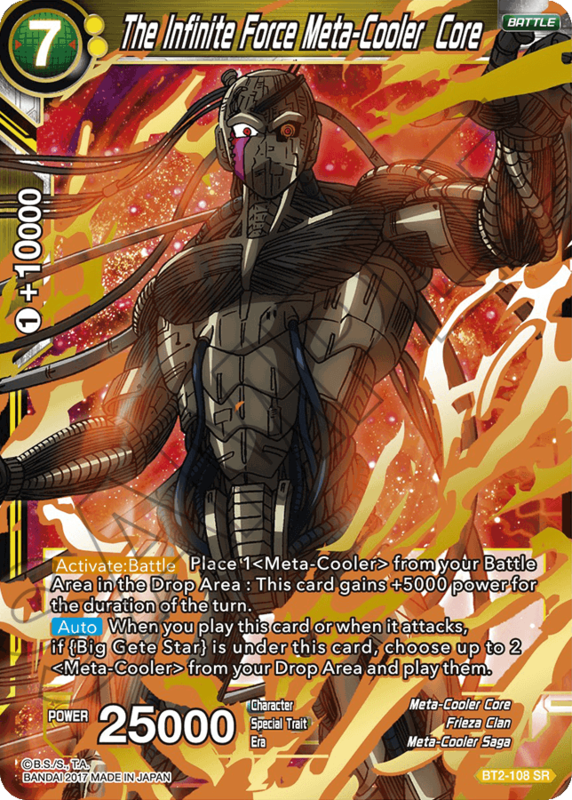 He leads his legion of 〈BT2-107: Infinite Multiplication Meta-Cooler〉warriors to battle. These are just a few of the many cards which represent character traits. Please take a look at the card list and play the game to immerse yourself in the Dragon Ball world. Series 2 will introduce a vastly wider selection of decks in comparison to Series 1, making the game much more interesting. Each color features 5 or more specifically designed decks, meaning that there are at least 2 0 kinds of deck in total. Of course we have left room open for players to create their own custom deck, so we’re looking forward to seeing what everyone comes up with. 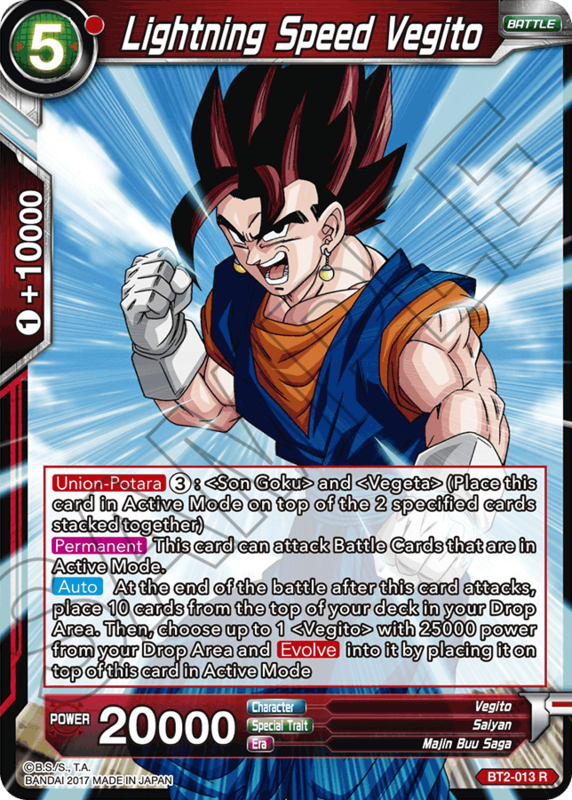 Also note that the red Saiyan deck and blue Trunks: Future deck is designed for less-experienced players, so please advise using them if you have a friend who just started playing the game. We will continue designing and producing cards for our Dragon Ball and card game fans. We hope everyone is on board for more Dragon Ball Super Card Game content!